Wait, didn't we just hear this? Acts 3 seems at first glance like a repetition of Acts 2, since both feature a powerful miracle and a Kerygma response by Peter. But the differences are stunning. 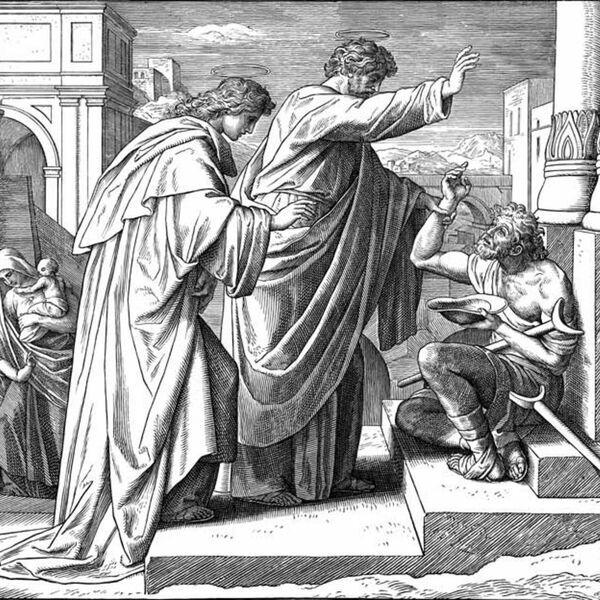 Here, the healing of a disabled beggar leads Peter to deflect glory from himself and properly attribute it to Jesus. He then speaks of the role of faith in the amazing work of the Kingdom. Peter uses the occasion to tell about the saving Name of Jesus (with a subtle shot at the false name of Mammon). We examine other famous names in this passage, and what they say about the One Great Name of Jesus. And we finish by examining the nature of the Name of Jesus, especially Suffering Servant and Author of Life. In the end we find that even the biggest enemies of His Name are offered salvation and life in Him. As you'll see. for maximum effect, repeat the podcast several times so it sinks in!